Everything you need to know about the best televisions. From a value standpoint, nothing has dropped so much in price in such a short time. It’s simply amazing the value in today’s flat panel TVs. Just nine years ago, the first 50″ flat panel Electronic Integration sold was $20,000 and at the same time, a 20″ LCD was $5500! 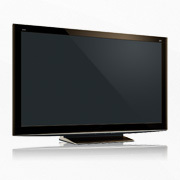 Looking at the current crop of flat panel televisions at much more attractive pricing, the choices are overwhelming. What is your best choice? First of all, you should consider how much time you will spend in front of the TV you choose. If it’s your main TV, you’ll probably spend much of your leisure time for the next several years viewing it. Think about that when you calculate your budget and compare it to how much you spend on other things vs. the time you spend using or enjoying them. The world of flat panel televisions is divided into what many industry insiders call tiers. Tier One vendors have a significant investment in their United States operation and are staffed to fully support the products they sell in the US. Tier One consists of familiar brands like Panasonic, Sony, Sharp, LG, etc. Tier Two is made of recognizable US companies that are just putting their brand names on generic flat panels. Examples of Tier Two are Polaroid, Westinghouse, etc. Tier Three are brands that are sold at a variety of outlets, but have no real support system set up in the United States. If these sets break after 90 days you typically are out of luck. Electronic Integration provides a full service department and chooses to sell only Tier One brands. This is critical unless you plan on throwing your flat panel in a landfill when it breaks and buying another one. The best way to evaluate a flat panel TV picture is to watch something with lots of motion. Bad sets will have lots of artifacts in the picture that make it look like it’s tearing apart. Better sets will have far less of this. Most upper end sets from Tier One brands do a great job with motion and picture quality overall. Another great way to compare brands is to look at a non-HD signal. For most of us, we will be viewing these for quite a few more years through either cable or satellite. In my opinion, I would rather watch non-HD on a tube TV than just about all of the Tier Two and Tier Three flat panel sets. On commodity priced flat panels, the non-HD picture looks terrible. The final thing to bear in mind is the sound. In the days before flat panels, with conventional TVs there was enough depth and size in the cabinet to allow for speakers that were okay. Today’s flat panels just don’t have any room for speakers. It’s a pretty big problem when you have a great picture but can’t understand the dialogue of the show or movie you’re watching. We get people frequently telling us that they bought a new TV from a big box store, but got it home and hated the sound. Electronic Integration has lots of choices to help you with TV audio and home theater sound. A big new TV is just the beginning of the things you will need for the full home theater experience. While it seems to be the first thing most people look for, when you have it you’ve really just gotten started. You’ll need an expert to help you with surround sound processing, a speaker package that works well in your environment, the right cables, the proper surge protection, and the all-important remote control-your interface to the complete experience. We also offer complete installation services to help you get all of the new gear professionally installed. 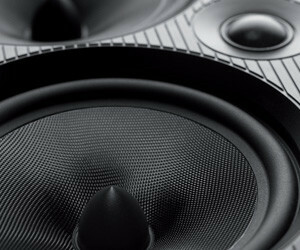 A great picture with great sound will be a lot of fun for you and your family. Our staff lives and breathes this stuff, so feel free to come in and have fun getting an education. Take the time to do your research and consider that a few extra dollars spent will often buy you a lot more pleasure over the long run!